Pasting MIDI clips such that a new track would be created caused an exception. Solved. Muting a AUv3 instrument track could cause noises or a heavy CPU load. Solved. 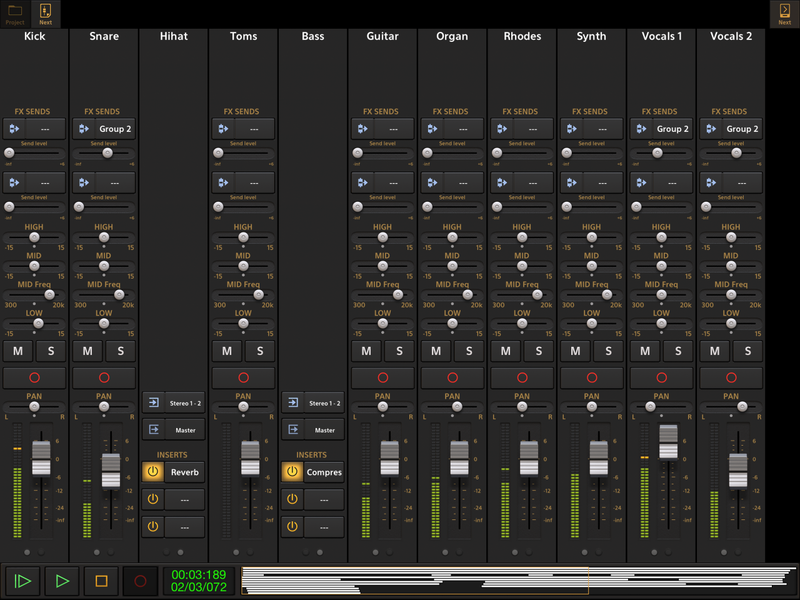 Disconnecting a headset or USB audio interface would erroneously reset the input of an AudioBus track. Solved. Moving the volume faders and EQ sliders could cause zipper noise. Solved. The trigger area of the parameter buttons in the Toneboosters EQ were too small, making them hard to hit on iPhone’s. Solved. Moving the Volume, EQ, Fx Send, Panning or MIDI velocity slider slowly would pop up a menu which could be irritating. Double-tapping now pops up the menu instead. Plugging in/out headphones or a USB audio device while monitoring could cause a large delay and CPU usage. Solved. With a list that long it makes me wonder what will be in version 1.2? If you haven’t tried out Audio Evolution Mobile then now is a good time. The app is free, but has multiple in app purchases available.